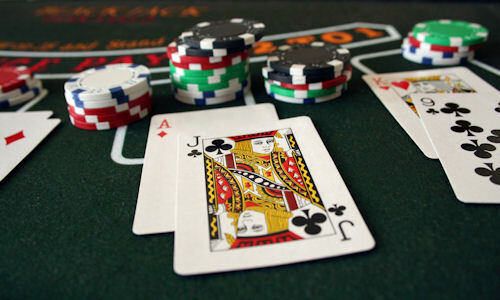 Blackjack ranks among the most popular card games played in casinos around the world. Unlike poker, played in poker clubs, you will only find blackjack in casinos. Another key difference is that in blackjack, each player plays independently against the dealer. At the same time, the dealer can win against several players and lose or draw with others. The goal of this card game is for the sum of your card values to equal or be closer to 21 than the dealer’s. A player cannot have more than 21 – this is referred to as bust and represents an automatic loss. Blackjack is probably the only gambling game where a bright player could actually have an advantage over the casino. The dealer cannot decide himself whether or not to take another card. The strict rules of blackjack apply to the dealer and must be respected. Learning to play blackjack to utilize this advantage is not easy. You must have a good strategy, know how to count cards quickly and have good training. The basic strategy of blackjack is the easiest to begin with. This strategy evens out the chances of the dealer and player. The next step is counting the cards in blackjack. This method is based on counting the low and high cards remaining in the deck and evaluating the probability of success. There are many levels of counting cards, from easy to very complicated professional card counting.